This week a book came through the post 'The Adopters Handbook on Therapy' and the DfE published the 'Post adoption support interventions: independent evidence review'. Both very helpful and giving excellent summaries of a range of therapies and their benefits. It made me think when I go to the garage I often do an impression of the thing that is wrong with the car. I make ticking noises and give flamboyant demonstrations of the difficulties that the car's happening, it's all a bit Fawlty Dad. The nice mechanic smiles, looks impressed and nods as though he understands. Very politely he then tells me they'll have a look. He clearly thinks I'm an idiot but he is professional and I trust him. I wouldn't dare to presume that I can actually tell whats wrong with my car or even worse how to fix it, what tools to use and what part is needed. I kind of feel this way about psychologists too. We've kind of been round the block in many regards but we've been fortunate to access several therapeutic interventions over the years and the main thing is that I've realised that they don't work. Of course what I mean is that they don't usually produce the result that I'm necessarily looking for. The process and outcome is much more nuanced than that and linked to all kinds of other stuff, family systems, parenting models, my own hang ups, etc.. But I've been desperate and I'd have done everything and accepted any therapy in the early days. I discovered I knew nothing about therapy. The 'fixes' were not 'quick' and quantum changes in behaviour were not on offer. Nuanced and incremental changes were on offer as was the development of my knowledge of the inner workings, self image and identity of my child. Problems eased rather than resolved and we learnt how to dodge bullets and sidestep the fiery darts that continued to be aimed at us. It's made us look at ourselves and acknowledge when we are part of the problem and helped us shift to being part of the solution. Perhaps the most significant part is for us was someone who listened to us, believed us and confirmed and acknowledged our thoughts and concerns. A pretty basic but much under valued need and something that enabled us to keep going at tough times. Of course others have different experiences and I'm happy to acknowledge that but I know enough that the impacts of trauma are long term and there are no magic fixes. That must have been hard, we all want to do what's best and it's only with hindsight do we see what we perhaps should of done. Like you I think the support that we've received has been at least as beneficial as the therapy that our children have had. It means we can keep going. It's helpful to hear you haven't had the magic results we hoped for, and didn't get either...at times it feels like yet another thing we failed at. It's hard to hear that it's another thing that you failed at. We've seen incremental gains, nothing earth shattering or transformative unfortunately. It's given us and insight that's enabled us to be better parents and that is perhaps the best we could have got. Thanks for posting this Al. Therapy is hard work and as you say, there are no quick fixes with children who have suffered developmental trauma that has often been chronic and pervasive. For sure, as a therapist I'm probably biased, but I'd like to say that it can help enormously: to provide relief for a family, insight, support, and over time deepen attachments and develop reflective functioning. It can even save lives, families from falling into despair and disruption. All of which I'm sure you know. Perhaps it helps to see therapy as being less about a 'cure' than resourcing parents and children to manage the consequences of trauma better and bring some hope. Over time, there can be healing (I've certainly seen this and it's what inspires me) but it's not an exact science and we still don't understand fully what works for whom or the place of resilience. We're still learning. The NICE guidelines point out that evidence for many therapies may still be lacking, but it doesn't mean to say that anecdotally and reported by families that it's ineffective; it's just that we don't have the research yet to back this up for a multitude of reasons (money, ethics committees etc). I'm glad that you have found some helpfulness in it and it resourced you to keep going. I agree with you though: there are no magic fixes. Thank you for commenting. I agree with you in all regards and if we could re frame therapeutic interventions as resourcing and equipping families and children then I think expectations and hopes would be more realistic. 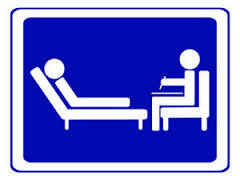 Consequently, I would hope that families would find and get more from therapy than they would otherwise. Hi, thanks for commenting. I think your experience is as ours, limited change but increased capacity to manage. Now we know that we find therapy much less stressful.